Jaco van Gass Jaco van Gass. Roseville Brand Ambassador. Ex-Paratrooper. Jaco is a keen adventurer, motivational speaker and champion Para-Cyclist. South African born Jaco van Gass was a member of the British Armed Forces Parachute Regiment. It was during Jaco’s second tour of Afghanistan in 2009, after five and a half months and with just two weeks to go when Jaco sustained severe life changing injuries. Jaco and his platoon were engaged by Enemy Forces and after an intense 45 minute fire fight, Jaco was hit by an RPG (Rocket Propelled Grenade). The injuries he sustained included the loss of his left arm at the elbow, a collapsed left lung, shrapnel wounds to his left side, punctured internal organs, blast wounds to upper thigh, a broken tibia and a fractured knee. Jaco had 11 operations and intense rehabilitation. Despite the physical and mental trauma endured, Jaco became a first-class downhill skier, and multiple marathon runner. He was a member of the record-breaking team of wounded soldiers to trek unsupported to the North Pole (joined partly by Prince Harry), and he’s also climbed Alaska’s 6000m Mt Denali, and Everest (narrowly missing the summit due to adverse weather). He has overcome adversity and is taking on the world. More recently, Jaco has been a member of the GB Para-Cycling team, competing internationally at the World Championships in 2013, 2014 and 2015. He has become a National Champion Cyclist on the road multiple times. Jaco raced in the Para-Cycling Track World Championships in March 2018 and won a bronze medal in the C4 4K Pursuit. 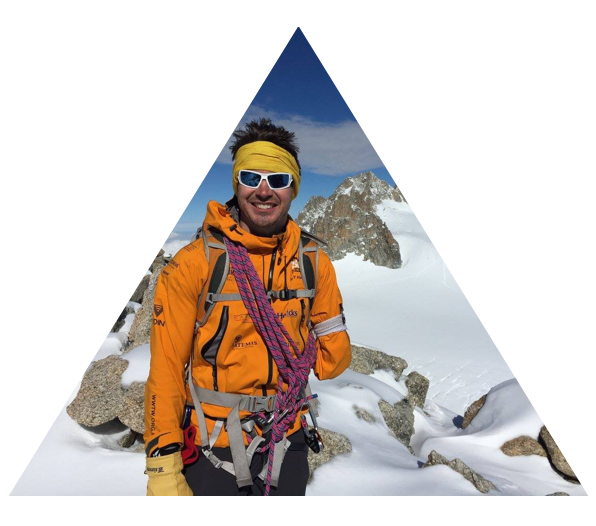 As a keen adventurer, Jaco has reached the North Pole, attempted Everest and summited a number of mountains. Jaco is now also a member Adaptive Grand Slam Team, a team of disabled adventurers are on a mission to be the first disabled team in history to complete the notorious Grand Slam. Very few adventurers have completed all stages of this impressive feat, which entails summiting the highest peak on each of the 7 continents and walking unsupported to the geographic North and South Poles. Jaco is a member of the GB Para-Cycling Team. He has represented Team GB over the globe on the track and on the road. He is a multiple time National Champion. In 2014, Jaco won double gold at the Invictus Games in London. In 2016, he won a Gold and Silver medal at the Invictus Games Orlando. Jaco's love for cycling continues as he cycles through Patagonia in December 2016. Jaco an awe-inspiring public speaker, his politeness, and charisma make him both memorable and entertaining as a motivational speaker. His ability to mix humour in with the intense drama and seriousness of his personal experiences manages to set audiences at ease whilst simultaneously inspiring them. He has spoken to audiences all over the world, helping businesses to reach extreme goals and adapt to change, whilst changing people's lives along the way. "At the end of the day Jaco I am just someone who attended an event you spoke at last night, you don’t know me and all I know about you is a 60 minute story of your inspirational life, but I do want you know that your story has moved me, inspired me, and made me consider what if things aren’t the same tomorrow as they are today and for that I am eternally grateful to you as that change in perspective will ultimately help drive me on my journey to be the best I can be."